In an effort to forge the path to a new era of firearm policy, a small town in Oregon mandated that all firearms be outlawed, and that bears be used as personal safety devices or crime deterrent. “This really solves two problems for us: gun law reform, and wildlife protection,” the sheriff of the remote town of Fern Rock had said last Wednesday during a press conference at the dawn of this innovative new mandate. The population of Fern Rock on that day was 3,572. On the day that will now be remembered as “the day they released the bears,” the initial results were encouraging. The crime level dropped rapidly, much faster than under any other policy in history. But experts say that is because both criminals and law abiding citizens were running for their lives from the influx of bears. Twenty-four hours later, the population of Fern Rock had declined to zero, the lowest number on record for any American city, and the lowest in Fern Rock since before it was founded. No bystanders are on hand to offer comment currently from Fern Rock itself, but the citizens of the nearby town of Redwood Elms had plenty to say. “I saw the press conference on TV. And then I turned off the TV. 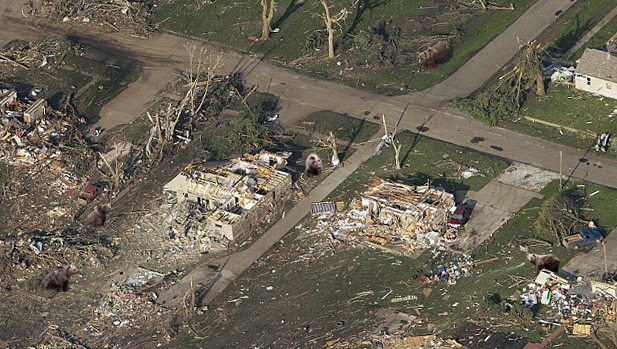 And then like two minutes later I started hearing just a wave of terrified screams and growling from the direction of that town,” Redwood Elms citizen Dirk Whittier told reporters. When asked why none of the town went to help, many said they did, but the clear “NO GUNS JUST BEARS” signs surrounding the town kept them out, since all they had were guns. Recovered security camera footage may show one example of how the sheriff’s “Right to Bear Bears” intiative went so wrong. During a liquor store robbery, law enforcement officers can be seen pulling up outside in a large van. 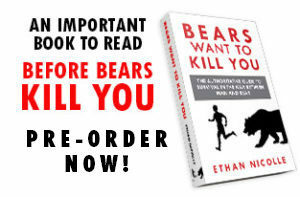 After opening the back of their van, a large bear can be seen charging through the plate glass entrance of the store and then quickly mauling the liquor store attendant first, the gun-toting thief second, and then turning around and promptly chasing two panicking law enforcement officials down the street. When asked about plans for recovery of the town of Fern Rock, congressman Burt Jurgens reportedly refused to comment, saying that all record of Fern Rock was being erased from Oregon’s history. “We will not speak of Fern Rock,” said a message left ominously on our voicemail. Eric Peterson has written a few comic books. His latest one is a comic called Tooth and Mail with Joe Aubrey and Darick Robertson (Transmetropolitan, The Boys) and a preview can be found at www.spacebastards.com (for mature readers).